Ryan and I had only one requirement for last night’s dinner. 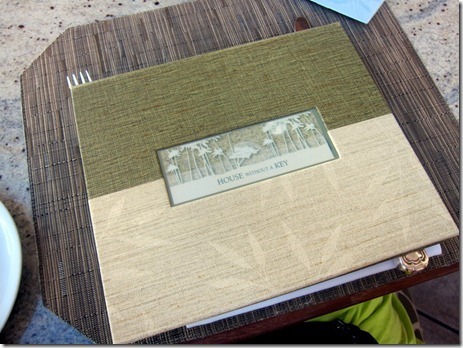 We wanted to enjoy our evening meal with a view of the ocean. 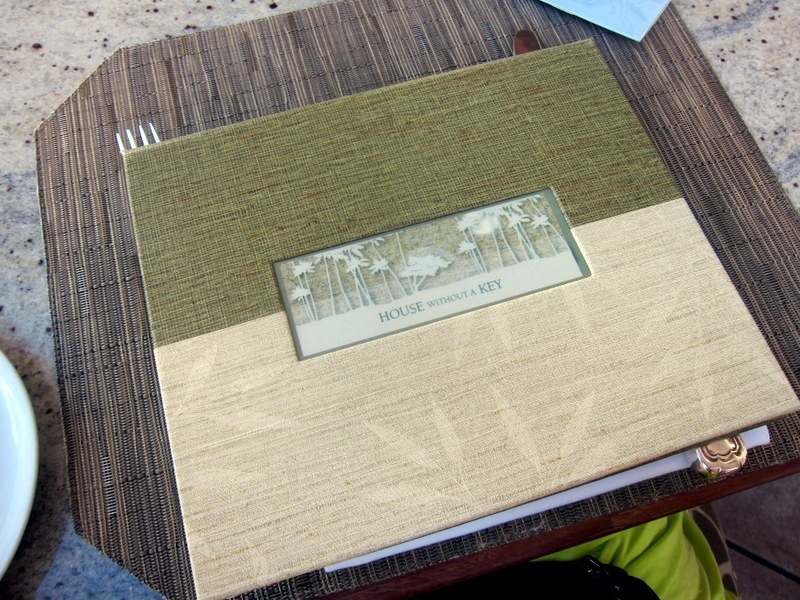 After hearing a handful of recommendations for House Without A Key, we decided to walk over to the nearby restaurant and grab a table outside for an early dinner. 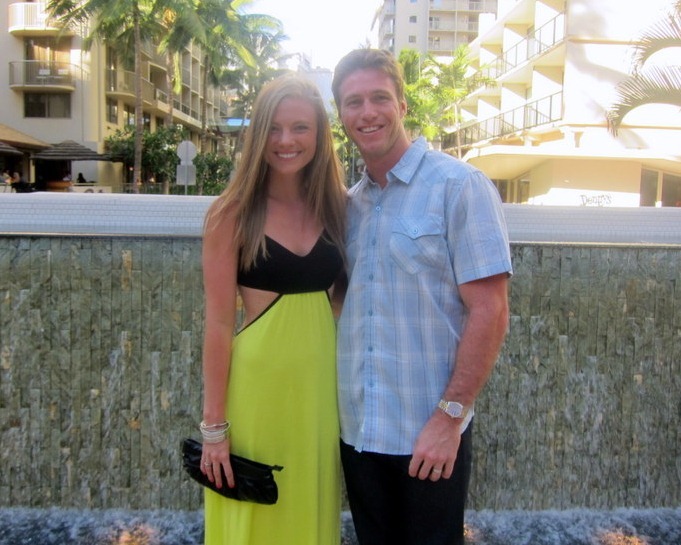 We were escorted to a table outside and immediately loved the atmosphere of the restaurant. We enjoyed the beautiful views and live music while trying new-to-us beers. I fell in love with the Fire Rock Pale Ale. 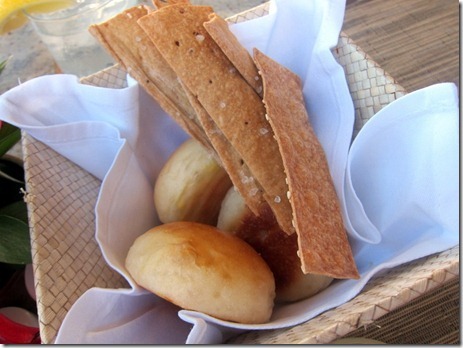 While we waited on our entrées, Ryan and I dug into the bread basket (so good!) and shared a bowl of tomato soup. 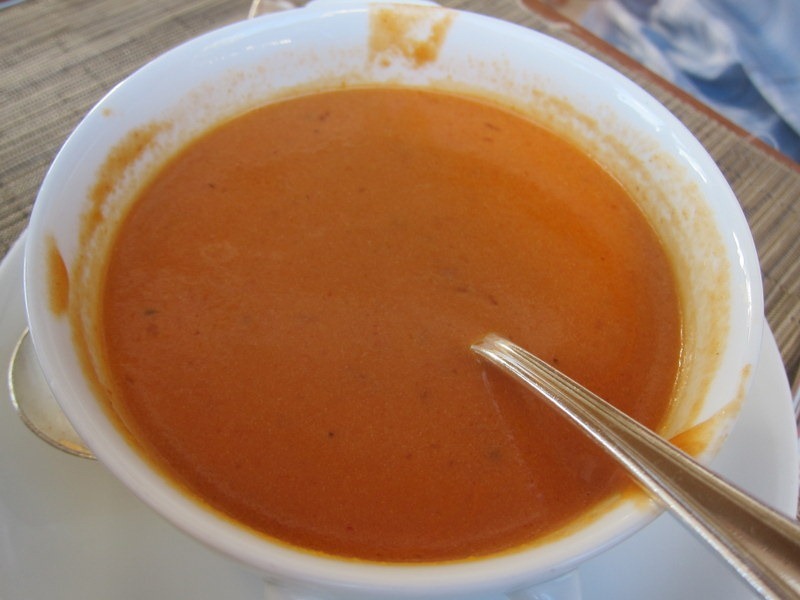 The idea of tomato soup kind of grosses me out (I feel like I’m eating a bowl of tomato sauce), but this soup tasted more like a bisque and was perfectly creamy. Ryan ordered it for himself initially, but after I sampled a bite and gave it rave reviews, he offered to share and I happily accepted. I didn’t even have to bust out the whole “we’re married, so what’s mine is yours” spiel. 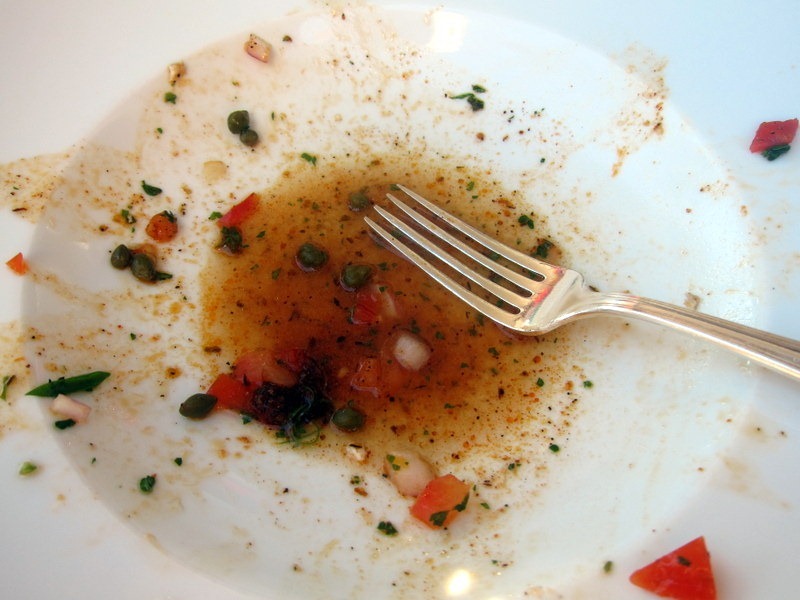 For my main course, I ordered the Cajun spiced shutome (swordfish) with a tomato, caper and onion relish. Fresh fish and fresh seafood is, without a doubt, my favorite type of food to order at a restaurant. Ryan and I eat a lot of salmon at home, but we rarely (if ever) prepare fancy fish or shellfish, so ordering it at a restaurant always seems to appeal to me! House Without A Key knows a thing or two about how to prepare fish because my swordfish was incredibly flavorful. 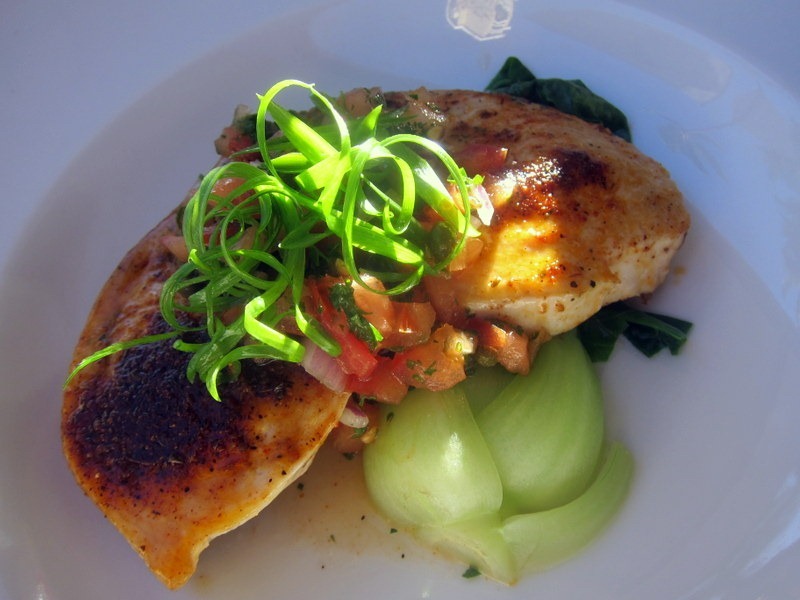 The chef did a great job of highlighting the natural flavor of the fish and kicking it up a notch with the fresh tomato caper relish. I was a fan. 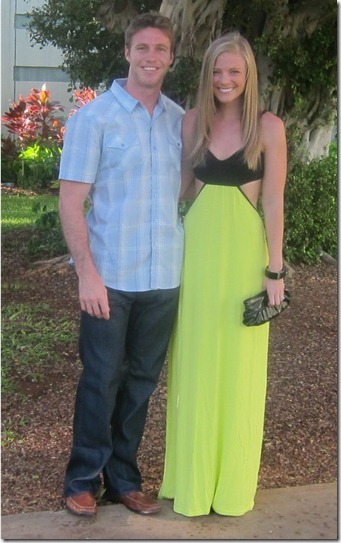 After dinner, Ryan and I spent some time out and about in Waikiki and had a wonderful evening. Plans for today include exploring the North Shore! P.S. The Fashion page was updated. Hot dress! I love it. 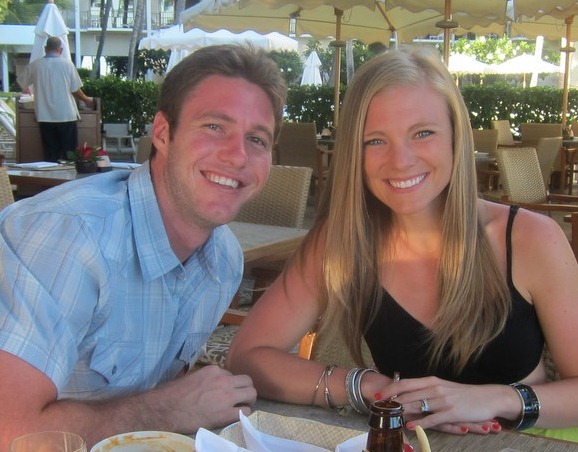 cute dress, but you guys look SO sunburnt — don’t forget to wear sunscreen! you’ve posted about skin cancer in the past, so i know it’s really important to you. 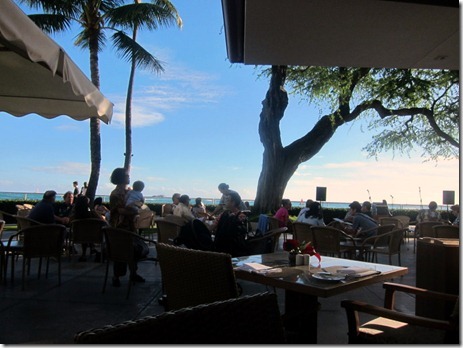 Hula Grill in Waikiki is another great beach-view dinner spot. Their poke tacos are to.die.for. Actually, a whole meal of just pupus (appetizers) is our favorite thing to do because their pupus are that good. Sansei’s, in the Marriott, has our favorite sushi on the island. Though Roy’s is pretty great too! Lastly, I don’t know how I missed your blog bc I’m a vizsla lover:) We have a doberman and a vizsla! My hiking buddies. thanks so much for your comment!! i’d love another hike recommendation! i think we may do maunawili falls tomorrow. I don’t know why my response posted down below, but its down there:) Also wanted to say… my perfect day on North Shore: Park on the roadside just after Shark’s Cove (Banzai beach/Pipeline). There’s a bike path there that’s about 4 miles long. Do a long run down it and back, passing all the beautiful, hidden beaches. After the run, go jump in the water to cool down! Then change into your bathing suit and lay out for a couple of hours before going to Waialua Bakery for a club sandwich (I forgot to mention they bake and grow almost everything on the menu! ), mint lemonade, and monster cookie:) Tons of dogs are always on the beach there too, and there’s a vizsla male who I often see there! I could never in a million years pull that dress off but you were made for it!! You finally found a long enough maxi dress!! It looks incredible!! Maunawili falls is beautiful, as is Manoa falls (a little more dramatic as its taller) which is also close to Waikiki. Be prepared to get crazy muddy on either of those hikes though! You may want to save those for towards the end of the trip in case you want to wear your shoes more during the trip (like for the gym, if just going to use them for other hikes then the mud is fine!). We’ve gotten a lot of rain lately so it’ll be a mud pit, but a lot of our trails are! Also, both of those hikes will be pretty crowded and typically have a lot of kids. But the falls are great to see! Looks beautiful! Hope you kids are having fun hahah. 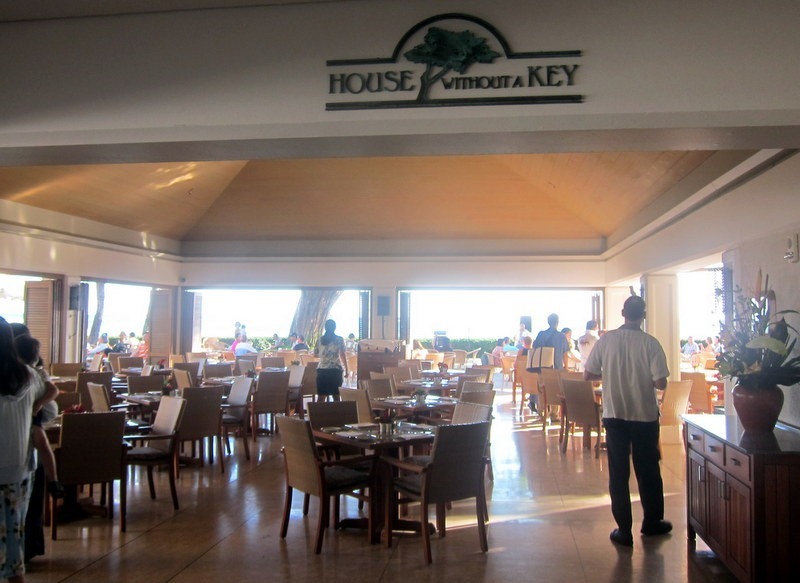 If you have a chance you need to try Ocean House at the Outrigger Reef Hotel! Their seafood laulau is amazing! Oh my god, that dress!!! Stunning. The only thing I miss as a vegetarian is seafood. I def feel like I would break in Hawaii! I am in LOVE with your dress!! I’m so jealous you can order clothes online without trying them on and they fit! Haha love Friends and Joey!!! Julie, you look amazing!!!! Love that dress! Thanks for sharing pics during your trip. As if you couldn’t figure it out by now – we ALL love your dress!!! So cute! I tried to try on a similar style dress this past weekend but my chest area was not a fan. EEEK! LOVE eating by the ocean. This place looks perfect! a l w a y s do! I am a long time fan of your blog – I find your lifestyle inspiring, fun and wholesome 🙂 This entry on your blog made me (and I say, MADE me) reach out (finally), to say as much and also, I went to Hawaii around this time last year for my partner’s brother’s wedding. I now adore Hawaii (a lil farther away from the ‘Mainland’ than you) but can just imagine how you’re lovin’ it there. Im reliving my experience from your photos! Well done Ryan for your flight – you’ve got it all sorted with the headphones and pillow! You both look great – keep shining on, beautiful couple that you are! You should try Shore Birds. 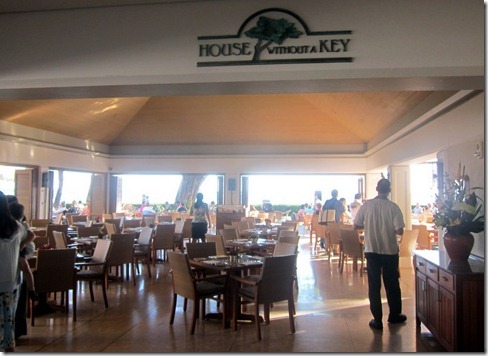 Fun atmosphere, ocean view, and you get to cook your own meal. Now I have to go to Hawaii. Everything you have posted looks amazing. Food, Views, Hiking. AMAZING! I love swordfish and I’m not even a bit fish enthusiast. Your trip is sounding so exciting and wonderful. I have always wanted to go to Hawaii. One question. Who is taking all the pictures of the two of you standing together? Do you use a self timer or do you ask passersby to take your photos? Just curious how you do that. Love Kona Brewing Company! 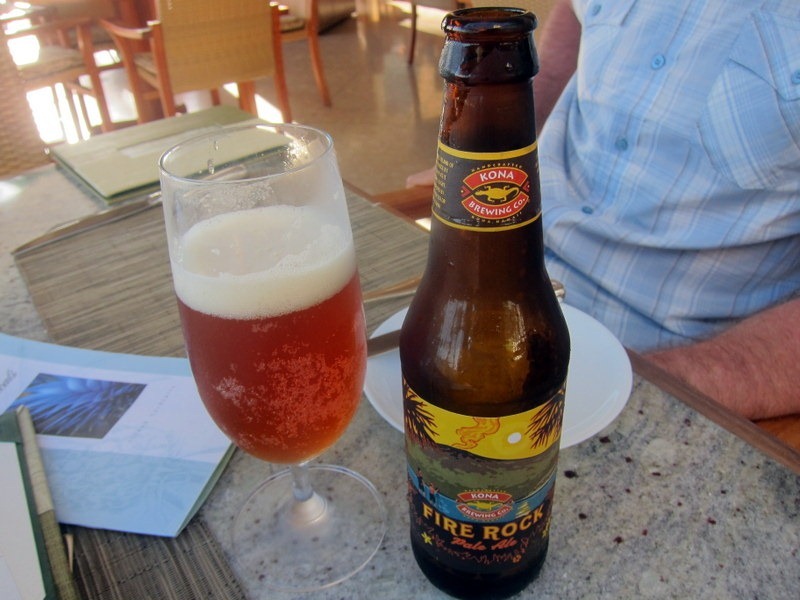 The Fire Rock Pale Ale is my favorite, but the Koko Brown and Wailua Wheat are also pretty amazing.